Because I’ve professed my love for a Bubble & Bee’s deodorant sprays twice before (here and here), this will be a short post. In the more recent post, I mentioned that I went too far by adding the toasted coconut scent to the lavender and vanilla scents using Bubble & Bee’s Design-a-Spray tool. I finally got my hands on the lavender vanilla deodorant spray and it smells great! 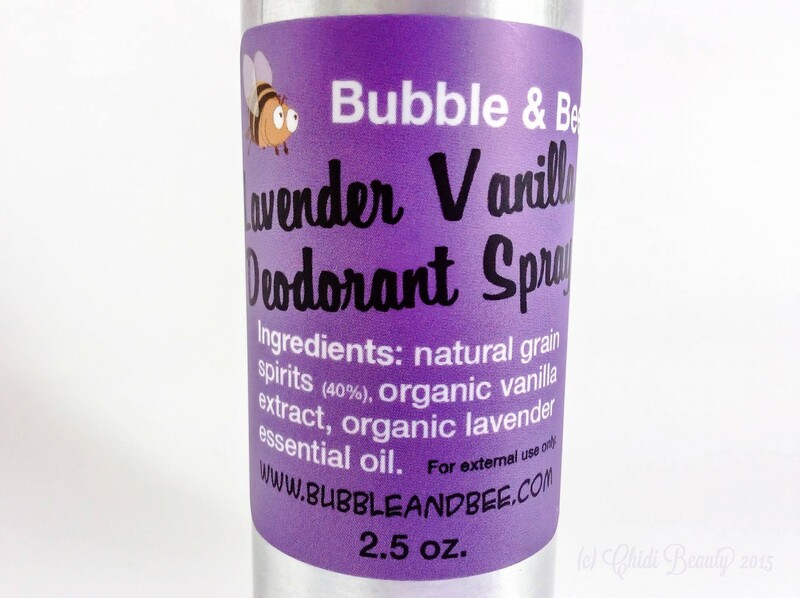 Bubble & Bee’s Deodorant Spray in Lavender Vanilla is made with the same simple, high quality, certified organic ingredients that the brand uses for all of its bath and body products. This deodorant is also effective, as we have come to expect from Bubble & Bee’s deodorant sprays. The lavender vanilla scent is a comforting aroma reminiscent of springtime. Lavender is the top note, and it smells just like lavender essential oil. There is no artificial fragrance to be detected. The lavender is tempered by vanilla, the middle note. These two scents combine nicely for a scent that can hardly be improved. 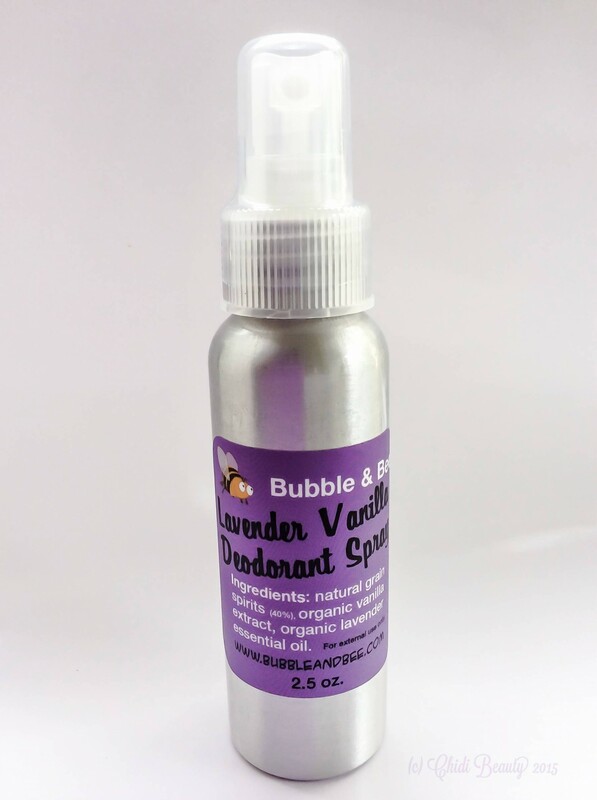 Much to my liking, as with other Bubble & Bee deodorant sprays, the scent isn’t long lasting so you don’t have to worry about smelling like your deodorant all day long, and you can still apply perfume, if you like, before heading out the door. Ever since I discovered Bubble & Bee’s deodorant sprays my search for a clean, effective natural deodorant came to an end. But I’m always open to try new products. What is your favourite natural deodorant? Why do you like it? Let me know in the comments below.